The Franklin County Commissioners recently toured the Chambersburg Volunteer Fireman’s Museum. The museum, located at 441 Broad Street, stores the history of the Chambersburg Fire Department and shows how the department has evolved over the years. The Chambersburg Volunteer Fireman’s Museum is one of twelve recipients of the 2018 Franklin County Tourism and Quality of Life Enhancement Grant. The Commissioners awarded $10,000.00 to the organization to fund building repairs. “The Chambersburg Volunteer Fireman’s Museum is a hidden gem. The volunteers do a great job of educating visitors on Chambersburg’s past,” said Franklin County Commissioner and Chairman Dave Keller. The museum is open by appointment only and is seeking volunteers. The Franklin County Tourism and Quality of Life Enhancement Grant has allocated over $1.5M to more than 30 local projects since 2014. The grant program is designed to enhance tourism, preserve and enhance historical resources in the county, and provide bike and walking trails for the enjoyment of residents and visitors. The funding comes from the hotel/motel tax on overnight stays at hotels in the county, as well as Marcellus Shale impact fees. 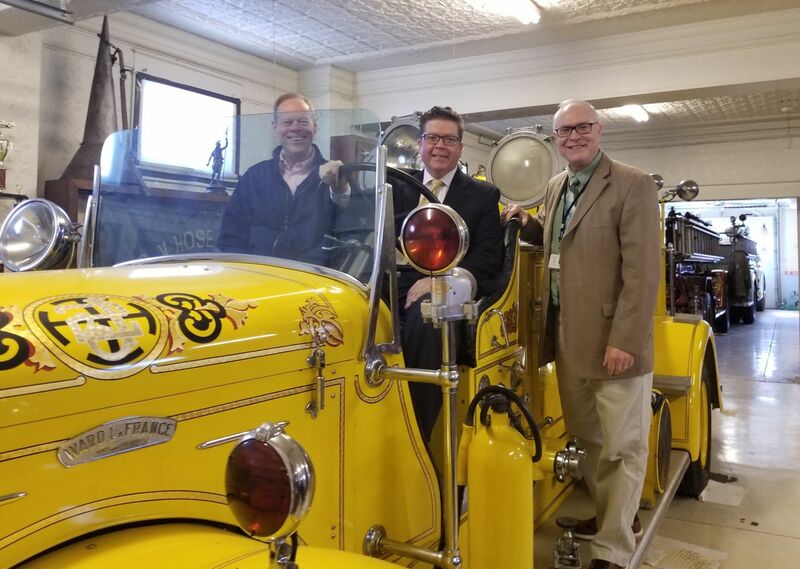 Pictured above (left to right): Commissioner Bob Ziobrowski, Commissioner Chairman Dave Keller, and Commissioner Bob Thomas at the Chambersburg Volunteer Fireman’s Museum. 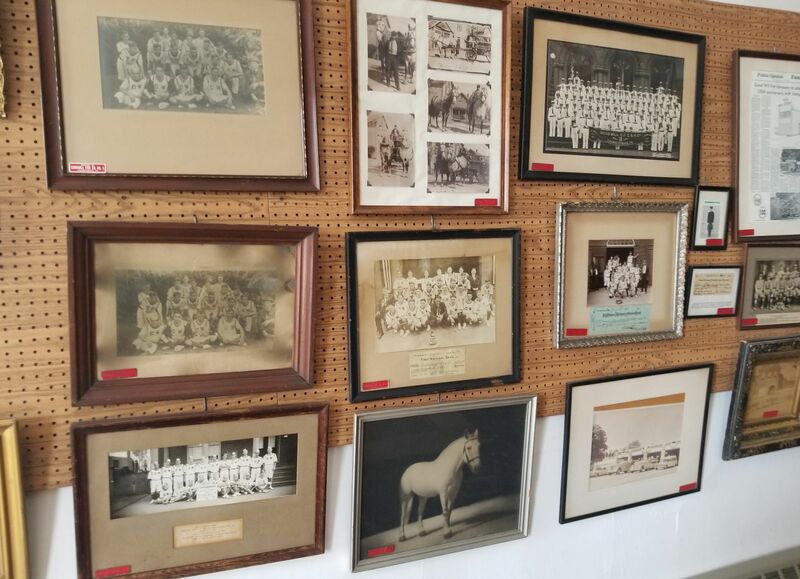 Photo display at the Chambersburg Volunteer Fireman’s Museum. For more information on the grant program, contact the Franklin County Planning Department at (717) 261-3855. To set up a time for a tour or for more information regarding volunteering, call (717) 729-4211.